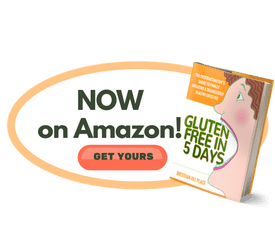 You know I literally wrote the book on Gluten-Free (my book, Gluten-Free in 5 Days, is still available on Amazon). But I also know as an alternative practitioner that one food sensitivity does not usually a healing make; you need to isolate as many sensitive foods as you can. And here’s one other problem that’s often overlooked by the medical community. I didn’t even KNOW about salicylates until it tested positive for one of my very sick clients. Addressing it through diet and with supplements enabled her to lose 40 pounds and regain her well-being; the last time I saw her she was glowing with health. Here’s more “food for thought” from Designs for Health, one of my favorite supplement companies. The article goes on to say that, even though salicylic acid may be protective for some, which is why baby aspirin is widely prescribed as heart-protective, there are others who are salicylate-sensitive. Such sensitivity, just like the histamine intolerance we talked about previously, may result in a wide range of symptoms such as asthma, hay fever, nasal polyps, GI problems, hives and other skin issues. Salicylate, therefore, reduces inflammation in normal individuals, but in the sensitive can actually cause it. One of the ways to reduce reactions is to cut down on high-salicylate foods. Among the foods highest in salicylate are fruits (especially berries and dried fruit), tea, canned and concentrated tomato products, and popular herb and spices, such as curry powder, paprika, turmeric, oregano and rosemary. As is the case for foods that are high in histamine, people following healthful and nutritious diets may be consuming these salicylate-rich foods on a regular basis … particularly berries, which are suitable for low-carb, Paleo, and vegetarian diets alike, and turmeric, which has received a lot of attention for its health-promoting effects. Individuals with undiagnosed salicylate sensitivity may be intentionally consuming large amounts of these foods, and be unknowingly stymying their efforts to achieve their best health. Supplements can also help reduce salicylate sensitivity. When I started researching this, I found several lay forums and lots of professional information about salicylates. And put my client on a regime of Milk Thistle, probiotics, fish oil, a multivitamin with minerals and N-acetylcysteine, vitamin D, digestive enzymes, Acetyl-L-carnitine, and D-ribose. Others who take supplements state that one sensitivity is linked to others (and … functionally speaking … why am I not surprised), including histamine and other amines, sulfates, gluten, casein, favor additional things like Glucosamine Chondroitin and MSM. It’s also recommended that Epsom Salt baths twice a day sop up impurities and provide much-needed Magnesium Sulfate. It took a year. But my client, by avoiding both sensitive and high-salicylate foods and aspirin as well as religiously taking the supplements I recommended, began to get better and shed weight. A far cry from the initial suspicious looks I got from her parents as some alternative charlatan had just bilked them out of thousands of dollars. And she had actually gotten worse. I hate hearing those stories as it casts aspersions upon those of us who just want you be well. By any way possible. So I’m here to tell you that salicylate sensitivity is a very real thing, that it can also be linked to other sensitivities to food, gluten, amines, sulfites, and histamines. As far as I’m concerned, testing for these sensitivities can mean the difference between lingering illness and vital health. Previous Post: « What IS Histamine Intolerance? Re Epsom salt baths & MSM. Just checking whether those with sulphur sensitivity can use them safely? Also do you think that people with salicylate sensitivity & other food sensitivities are more prone to dysbiosis and/or gut infections? Lastly, is there a more preferable probiotic for those with sal. sensitivity to take? Oh, one more question. Even with eliminating as much as pos. over many years I still have very regular gut associated migraines and quite severe reactive hypoglycemia even though I meditate and lead a relatively stress-free lifestyle. Great line up. We’ll be linking to this amazing post on our site. You can be doing a ton and still suffer from food sensitivities. I’d like to talk to you about this. Please feel free to call me at 8449668228 ext. 1 or email jill@healyourhealthnow.com. Thanks. I have celiac and I strongly believe I have salicylate sensitivity. I was told there’s no way to test for that. Wondering how you got a positive test from your patient. What type of testing did you do? Also, what is a good probiotic for people who are sensitive to salyiclates? Please feel free to call me at 8449668228 ext. 1 and leave a message or email me at jill@healyourhealthnow.com. I’d love to discuss how I test for salicylates. I have salycilate and histamine intolerance and i can’t any meat or fish or anithing can you help me? Yes, I can sousou! Please contact me at jill@healyourhealthnow.com or call 833-YOUHEAL. I’ll also email you. Hello, This is a great website, thank you for taking the time to write the article. Have a awesome day.